Facebook PageURL – URL from Address Bar when you are on a facebook page you created by “Create a page” button, not your home page, since you cannot link your home page or profile page. From the Share menu, select Embed. IMPORTANT – Replace [- WITH [ in examples below. 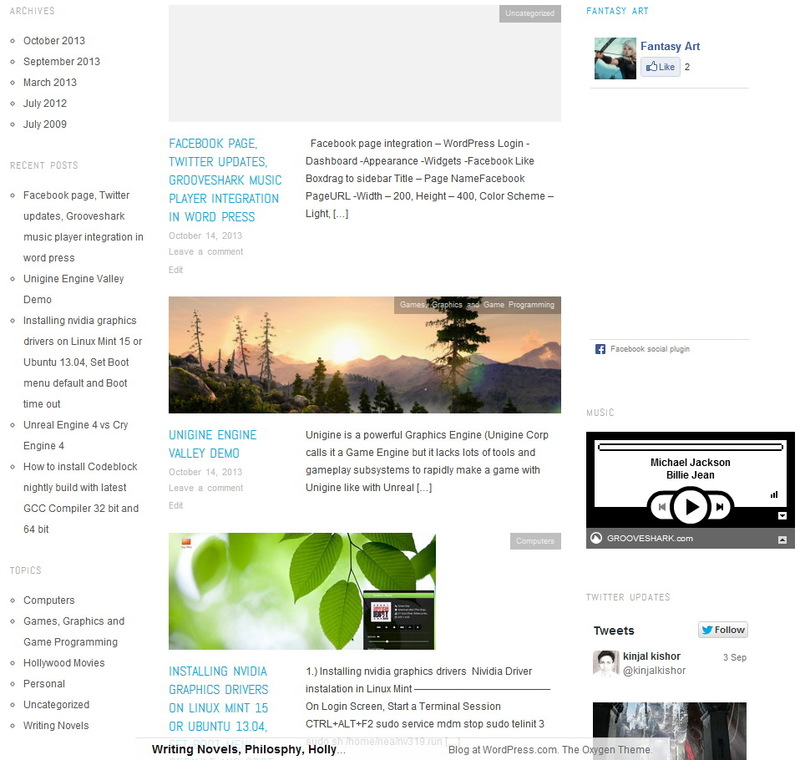 They are there only so as to show code in blog instead of player being integrated in the post. replace the xxxx with the text following (param name=”flashvars” value=”) like – hostname=grooveshark.com&songID=1497716&style=wood&p=0, and the width and height from your widget code. All the songs in your playlist current at anytime will be shown in this widget. It is live like facebook and twitter widgets. In Grooveshark got select a song and see icons for adding to playlist. Then click on your user name and go to playlists, then use share button on Playlist.